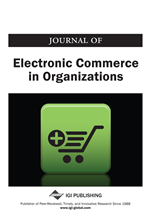 This paper explores the effects of two specific message delivery techniques frequently adopted by online stores: continuously animated site banners and unexpected pop-up ads. Results from 128 surveys collected in a 2x2 factorial design showed that each of the two techniques had a significant effect on perceived irritation in the hypothesized direction. This paper also confirmed that perceived irritation has a significant negative relationship with a visitor’s attitude toward the website. This study fills a vacuum in academic research with respect to the negative effects of Web advertising and advises caution in the deployment of certain techniques. This paper advocates future research that links format attributes and presentation techniques to attitudinal consequences in Web advertising, as well as in the design of an entire website.